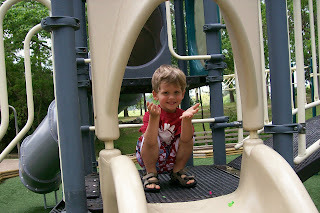 Dawson so enjoyed the water balloons at the MOPS picnic that we decided to make some the other day and take them to the park. 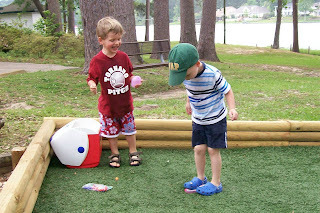 He and his friend Carson had a great time popping the water balloons. 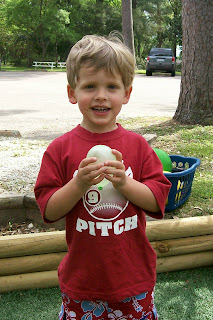 Dawson with his first water balloon. 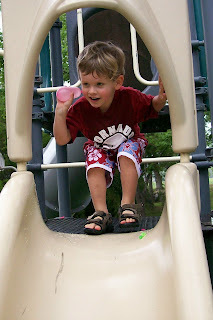 Poised at the top of the slide eagerly waiting for me to launch a water balloon at him. Throwing a water balloon down at Carson. 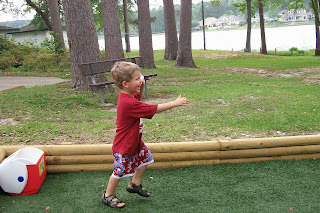 Laughing as he chases Carson with a water balloon in hand. Stomping on the balloons to pop them. As you can see, Dawson is very amused by this new way to pop the balloons. 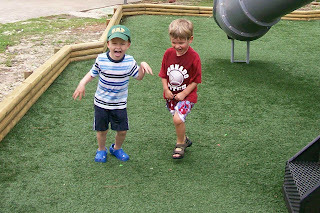 Giggling as they popped the last balloon.